(CNS): The public is being asked to comment on a new discussion paper drawn up by the Law Reform Commission, which will be used to draft legislation to facilitate and protect people who blow the whistle on skullduggery in public office. Government has been discussing the legislation for several years, but despite the general agreement that Cayman needs to create a safe environment for disclosure of wrongdoing, there is still no law to protect or assist those who have witnessed misconduct. The LRC said the new paper looks at the need for encouraging people to speak out about wrongdoing without fear of losing their jobs or being persecuted in some other way. The issue came to the fore in the Legislative Assembly recently during what turned out to be a controversial debate when North Side MLA Ezzard Miller called on government to implement the recommendations made by the complaints commissioner in her report before the end of the year. Government voted against Miller's motion without entering into the debate after the deputy governor said it was working on a law to address her recommendations. It was later revealed that government's primary objection was that one of the recommendations conflicted with the constitution. However, the appearance of the LRC's discussion paper just last week in the public domain suggests that government is even further away from potential legislation to protect whistleblowers that was implied in the LA last month. The report by commissioner Nicola Williams, which was published in March, made it very clear that most public servants were extremely reluctant to come forward as experience had taught them that those who tell usually end up out of a job or persecuted in some way. Her findings were supported by the outpouring of comments on the story on CNS, in which the vast majority of bloggers indicated that they did not believe it was safe for anyone in government to disclose any concerns about potential wrongdoing. Williams' research led her to conclude that the environment in the public sector was such that not only was there no protection for those who expose wrongdoing, but the culture positively discouraged any kind of disclosure. Her findings were at direct odds with the widely proclaimed and collective desire of both the public and private sector for a transparent and corruption free government, underpinned by modem legislation and institutions that support openness and honesty. As a result, the pressing need for legislation is not in doubt but Cayman remains at a very early stage in the legislative process. Nevertheless the LRC has at least drawn up a detailed discussion paper as a starting point for a whistleblowers law or, to give it its formal title, a Protected Disclosures Bill. "The Discussion paper gives an overview of the current legislation in the Cayman Islands and how persons are protected under legislation in some other jurisdictions. It also submits for public input the issue of whether financial incentives should be paid for disclosures of improper conduct," the commission stated in a release with the publication of the paper. The main objective is to draw up a law that will facilitate and encourage the responsible disclosure of genuine improper conduct and properly protect those that blow the whistle. The bill also proposes a definition of improper conduct, similar to that found in the UK and Jamaica, which covers all eventualities, from outright criminal offences or a failure to carry out a legal obligation to human rights abuses to mismanagement or health and safety violations. The bill provides for disclosure to ministers, employers and designated officers of employers, lawyers, prescribed persons and to a designated authority. Schedule 1 of the bill specifies that prescribed persons would include the attorney general, the commissioner of police and the director of public prosecutions as well as the auditor general, the complaints commissioner and members of the Anti-Corruption Commission, the Standards in Public Life Commission and the Cayman Islands Monetary Authority. The LRC paper also outlines the potential procedures to be followed when making disclosures; the procedures to be followed for the investigation of disclosures; protection against reprisals and remedies in the forms of court action, criminal complaint and resolution by labour tribunals; penalties for reprisals against whistleblowers; confidentiality relating to disclosures; and the periodic review of the legislation by a committee of the Legislative Assembly. The bill requires written disclosure procedures to be implemented by the people to whom disclosures can be made and there is attached to the Discussion paper an Appendix B which contains samples of internal policies, which the commission said it believes would be helpful to guide employers. Members of the public are invited to submit their comments on the consultation paper before 30 June to the Director, Law Reform Commission, PO Box 1999 KY1-1104, delivered by hand to the offices of the Commission at 1st floor dms House, Genesis Close or sent by e-mail to Cheryl.Neblett@gov.ky. (CNS): Foreign workers coming to the Cayman Islands whose first language is not English will be required to take a more formal language test in their country of origin before they arrive here in order to be granted a work permit. Immigration official said the new requirement starts on 1 July and is designed to be more accommodating and convenient as it will be taken in an applicant’s home country at a designated testing centre. Overseas workers will need to take either the International English Language Test (IELTS) or the Test of English for International Communication (TOEIC) both of which have centres all over the world. “Prior to arrival in the Islands, a prospective employee who has an ELT requirement placed as a condition of their temporary or full work permit, should arrange to be tested by one of the two recognized overseas English Testing Centres. These are the International English Language Test (IELTS) and Test of English for International Communication (TOEIC), each of which has test centres operating in multiple countries,” immigration officials stated in a release about the new language testing requirement. 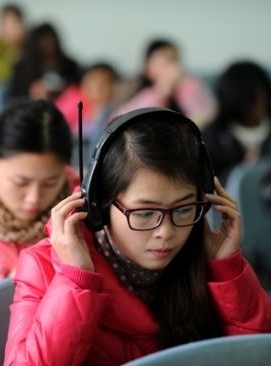 Those taking an International English Language Testing System (IELTS) will need a Band Score Level 6 while those taking the Test of English for International Communication (TOEIC): will be required to reach Band Score Level B2. Prospective employees must now arrange to attend a relevant centre in their respective countries and only applicants from countries with neither of the testing centres will be able to take a test when they arrive in the Cayman Islands. Local immigration staff will serve as administrators and will have test score viewing capabilities for both centres. Staff will also update workers’ information in the Immigration Management Support System (IMSS). 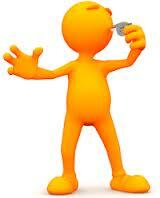 The Board or CIO will communicate the results in writing to the prospective employer. Tests taken at these prescribed centres prior to 1 July 2014 will be accepted but the immigration department said that applicants may not use test results older than two years. Officials also said that fees for testing are set by each centre and are the responsibility of the prospective employee prior to arrival in the Islands. Making appointments is the responsibility of the prospective employee who is expected to keep confirmed appointments with the relevant centre. Overseas testing requirements are not applicable for work permit renewals in circumstances where ELT conditions are placed by the Work Permit Board or Chief Immigration Officer (CIO). In such cases on-Island testing will be facilitated, the immigration department added in the release. (CNS): A jury of ten women and two men were impanelled on Monday morning in preparation for the trial of Chad Anglin, one of two men accused of murdering Frederick Bise (40), a Swiss banker whose beaten body was found in the boot of his own a burnt out car outside his Mount Pleasant home in February 2008. Anglin and a second man, whose trial will be later this year and whose name cannot be published during this trial for legal reasons, were charged with the crime last October, more than five and a half years after the murder. This is the first case to reach the courtroom as a result of charges brought by officers working in the RCIPS Cold Case Unit, created in 2010. This first cold case trial is expected to be opened by the crown on Tuesday morning following pre-trial arguments Monday. The prosecution is being led by visiting QC, Simon Russell Flint, and is being heard before presiding judge, Justice Alex Henderson. (CNS): Every penny counts when it comes to Derek Haines’ marathon challenge to raise $1 million to help the local hospice build an inpatient care facility by running six marathons around the world this year. 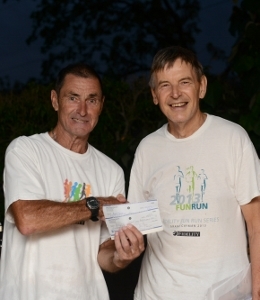 Roger Davies, treasurer of the Hash House Harriers – Hash Cash, handed him CI$1,000 following the AGM and Hash Run, representing a significant amount of the small running club's funds.However, it helped push the current total of money raised to over $375,000. As Haines limbers up for his third 26-mile pavement pounder next month in Pamplona and the half way mark of the challenge, he is hoping to have hit the half-million dollar mark as well. Davies said that the local runners were delighted to help Haines along the road. "The membership is pleased to be able to support the efforts of one of our members and wish (him) the best of luck in the remaining four marathons." Haines was particularly pleased for the support of his Monday night running chums. “This is a lovely and welcome donation. We are a small group and this represents a large percentage of our club funds. It seems I was left out of the email circulation so as to completely surprise me. Members are also donating individually and this is great support," he added. So far Haines has run the London and Paris marathons, and after the Spanish long distance run, the veteran distance runner will be heading to San Francisco in July, then Dublin in October before he brings it home to take on the annual Cayman Islands marathon in December. (CNS): The Mosquito Research & Control Unit will begin conducting aerial operations over mosquito-breeding swamp areas this week. Officials said that the spraying operation which will start on Wednesday 7 May will involve low-level flights during mornings and late afternoons. The operation will start in the West Bay area and is expected to finish on the north side of the island. 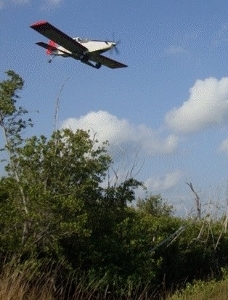 “Weather permitting the application should be complete within ten days,” a spokesperson for the MRCU said.The distinctive red and white MRCU aircraft will be applying small pellets specifically designed to target mosquito larvae developing in aquatic habitats, and by this means prevent emergence of biting mosquitoes. Once the rains begin the pellets are activated and will provide control for up to two months. Low-level flights over specific areas are necessary to ensure that correct application and successful control of mosquitoes is achieved. (CNS): Theron Wood confirmed that he is Cayman’s top striker at the weekend when he scored the double that propelled Bodden Town FC past Elite SC 3-2 Sunday to see them retain the Cayman Islands Premier League crown at the TE Mcfield Sports Centre. Wood who scored 28 goals this season helped his team come from behind in what was described as an exciting first half. Wood’s performance took Bodden Town to 46 points with just one week remaining in the season but it was not an easy win. In the 26th minute, Elite’s Darvin Dixon made a run down the left unmarked and slipped a near post shot past the Bodden Town custodian. Four minutes later, Bodden Town’s Alfredo Cardoza, an early first half substitute, created the first of many opportunities for Bodden Town. Streaking down the right attacking side Cardoza attempted a cross which found the hand of the pressuring Elite defender in the 18 yard box. Referee Christophel Stewart immediately gave a penalty, which Wood put away to tie level the scoreboard. In the 30th minute, Cardoza and Wood hooked up again, this time Wood played a cross from the right side across the mouth of goal, passing by two Elite defenders and the keeper Danner Taylor before finding the diminutive Cardoza who was unmarked and who gave Bodden Town the 2-1 advantage. Elite stepped up under pressure however and were rewarded with a penalty in the 41st minute but Dwayne Wright’s strike was saved by the Bodden Town keeper Jamie Johnson however a but favourable rebound was slotted home by Jedd Ebanks for Elite to even the score at 2-2. Just on the stroke of the break, Wood found himself of the end of a goal mouth scramble and pounced home his second of the game, 3-2 at halftime. 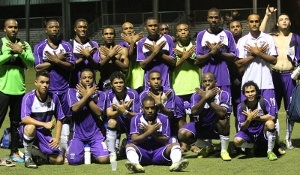 The second half saw both teams pressing for more goals but it wasn’t to be as Bodden Town held on to the 3-2 victory. Meanwhile, Bodden Town FC’s club manager was recently soaking up the thrill of football on a bigger stage recently when he took on the role of Match Commissioner for the CONCACAF Champions League (CCL) Final in Mexico last month. 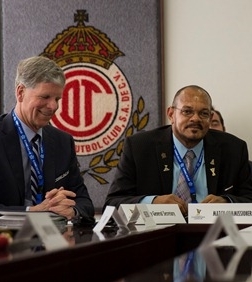 Kennedy Kelly was CONCACAF’s official representative managing all match operations for the final between Mexican clubs Cruz Azul and Toluca, who battled for a spot to the FIFA Club World Championship. The CONCACAF Champions League Final was Kelly’s second appointment for the 2013-2014season following an appointment for the CCL Match between Major League Soccer outfit Los Angeles Galaxy and Isidro Metapan of El Salvador in September 2013. (CNS): Although most weather experts have predicted a below average hurricane season this year in the Atlantic, local officials are warning the public not to be complacent and to make their preparations now as government begins its hurricane checks. The public works department and the NRA will be shuttering over 100 government complexes and buildings, including 16 hurricane shelters on Grand Cayman Wednesday as well as checking standby generators and water cisterns and ensuring that shelters and other buildings are all secure, as part of the annual hurricane preparation exercise. Hurricane season is less than four weeks away and residents are urged to review their own home-protection plans too. 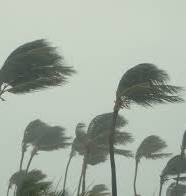 Officials said at a minimum everyone needs to consider how they will cover windows and glass doors in the event of a hurricane, and prepare ahead, where you will go if your home is on the ocean, in other vulnerable areas or is not hurricane safe. Due to the limited number of hurricane shelter spaces, residents are encouraged to make every effort to stay in the safe home of a friend or relative, or available workplace. Shelters are safe refuges to ride out a hurricane, but they are not designed to be comfortable accommodation, and may become crowded. As the tenth anniversary of Hurricane Ivan approaches those who weathered that storm can testify it only takes one hurricane to destroy everything. While international hurricane predictors across the USA and the region all agree that 2014 is expected to be one of the quietest hurricane seasons in decades it doesn’t mean Cayman will escape unscathed as forecasters are still calling for nine named storms in all. Compared to the years 1981 through 2010 however, which averaged around 12 storms the long range forecast is very much below-average for major hurricanes making landfall along the United States coastline and in the Caribbean. The Colorado State University Tropical Meteorology Project, headed initially by William M. Gray and now by Philip J. Klotzbach have made one of the lowest predictions since they started making long range forecasts with just one major landfall hurricane expected.